Edgewood GC: The 2014 Golf Season is Underway! The 2014 Wisconsin golf season is FINALLY underway! 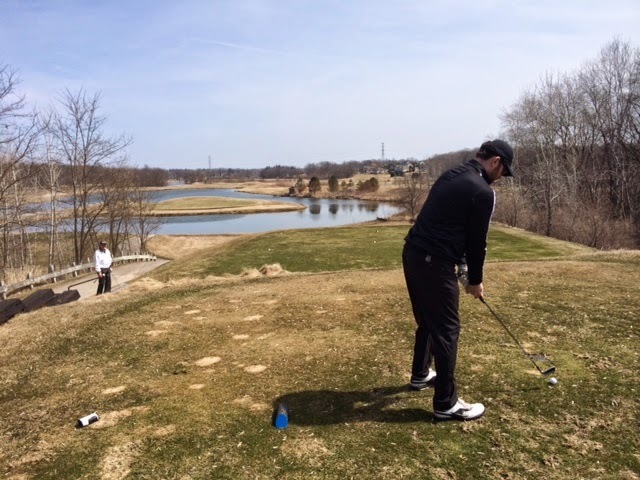 With temperatures the last couple of days in the 50’s and close to the 60’s, with some sun and wind, golf courses are drying out and getting in to playing form, and courses like Edgewood, Broadlands, and all of the Milwaukee and Waukesha County tracks are open for play. This morning, I joined my friend Jason, and his grandfather, Frank, and friend, Jon, at Edgewood for 18 holes and our kick-off to the 2014 Wisconsin golf season. We played the front nine of the Pines golf course, followed by the back nine of the Oaks, which is one of my favorite nines in the greater Milwaukee area. It was windy but sunny; I had no complaints about the weather. I was pleasantly surprised with the front nine of the Pines course: Some very fun holes with water and few trees, which is perfect for an early-season round when I have no idea where my tee shots are going. The front nine started off in good fashion for me, with three pars and two bogies on the first five holes. I then managed to find the treeline on the dogleg left par five sixth, and had a hard time getting free of it, acquiring my first snowman of the Wisconsin golf season and resulting in a front nine 47. The back nine on the Oaks course at Edgewood, if you have not had the pleasure of playing it yet, is really phenomenal. Opened in 2000, these nine holes are a fantastic example of new-age golf course architecture. The island hole, the 14th, is one of my favorite holes on the course, and one of my top par threes in Southeastern Wisconsin. 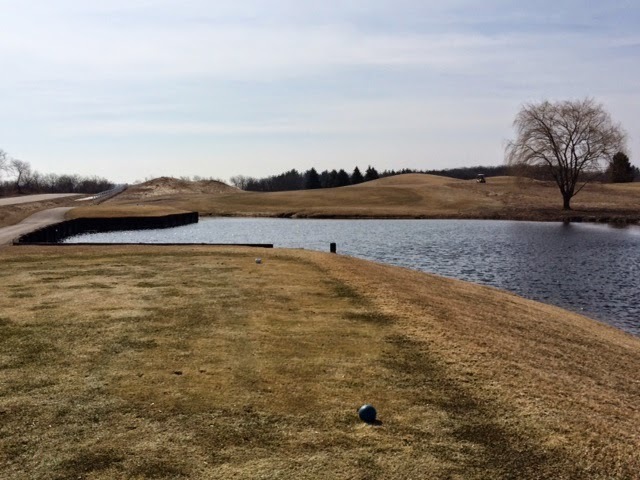 Word is we still have probably another 11 or so days until my home course of North Hills Country Club reopens for the season, which I am unbelievably excited for, but it was great to get out today and finally get the Wisconsin golf season started!